Cold Spring resident Allison McIntyre returns from trip to Africa with many pictures and many stories. \”Are you going to the parade?Ã¢â‚¬Â was an oft-repeated question last Saturday (Oct. 30) as locals and not-so-locals gathered in Cold Spring. The Special Board met on Oct. 28 to map out a strategy to make final revisions to the draft Comprehensive Plan document. Demonstrators have become a very familiar sight early each Saturday afternoon in Cold Spring. I knew right off that my interview with Leona Dushin would be interesting, to say the least. How could it be otherwise? Public comment on the draft Comprehensive Plan for Cold Spring came to an end at 8:25 p.m. on Oct. 21. Sports-related concussions receive increased attention both locally and nationally. The formal public hearing to review the draft Comprehensive Plan for Cold Spring got underway on Oct. 14. The Philipstown Conservation Advisory Committee (CAC) recommended at its Oct. 7 meeting that a hotly contested wetlands permit be granted to Robert Jordan. The hour glass has been turned on end and the final countdown has begun for Cold Spring residents to comment about the future of their village. Osborn Castle, one of the most eye-catching landmarks in the entire Hudson Valley, is receiving some extra attention these days. At its Sept. 16, 2010 meeting, the Planning Board directed consultant Ron Gainer to prepare a resolution approving the new plans for the property, known to most as “Guinans,” contingent only upon his review of Part 3 of the Environmental Assessment Form (EAF) required by New York State. 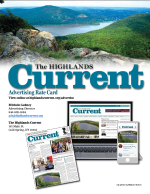 Tom Cunningham, Haldane’s new Athletic Director, Dean of Students and Director of Health and Physical Education for grades K-12, recently spoke with Philipstown.info’s Michael Turton.